Great Planes ElectriFly Brushless Motor Mount. Attaches to firewall and the electric motor attaches to this mount. Perfect fit for both 35mm RimFire, Outrunner and 28mm Ammo In-runners. Universal motor mounting bolt pattern insures an easy fit with many brands of motors. Lightweight aluminum construction for added durability. Unlimited adjustability from 2.1 - 3.1" (56 - 78mm) off surface of firewall. 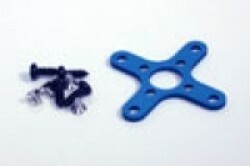 Great Planes ElectriFly Brushless Motor Mount. Attaches to firewall and the electric motor attaches to this mount. Perfect fit for both 50mm RimFire, Outrunner and 36mm Ammo In-runners. Universal motor mounting bolt pattern insures an easy fit with many brands of motors. Lightweight aluminum construction for added durability. Unlimited adjustability from 3.5 - 4.6" (89 - 117mm) off surface of firewall. Great Planes ElectriFly Brushless Motor Mount. Attaches to firewall and the electric motor attaches to this mount. Perfect fit for both 63mm RimFire, Outrunner Motors. Some large motors may need to be installed on outside (on face of) mount. 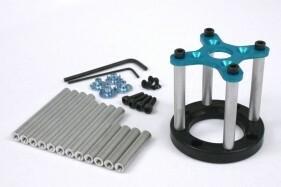 Universal motor mounting bolt pattern insures an easy fit with many brands of motors. Lightweight aluminum construction for added durability. Unlimited adjustability from 3.5 - 4.6" (89 - 117mm) off surface of firewall. 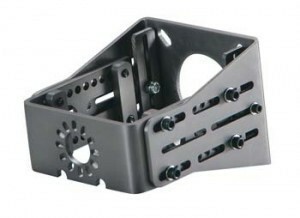 Fits Himax 35 series outrunners and many others. Motor plate is drilled for 4 bolt pattern of 1" (25.4mm)diameter. This is a most common mounting pattern in motors of this class such as Himax 35XX Series and many others (does not fit AXI 28XX motors). Standoffs provided in 4 different lengths to aid your setup. Measurements provided so you can figure out spacing. Note, if motor is mounted inside front plate, it's thickness does not add to motor spacing off firewall. 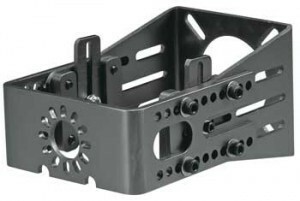 High impact plastic base plate supports ends of standoffs against firewall to a solid and rugged mounting system. Mpi Maxx Motor Heat Sink 36mm. Fits S-400, B40 type motors. 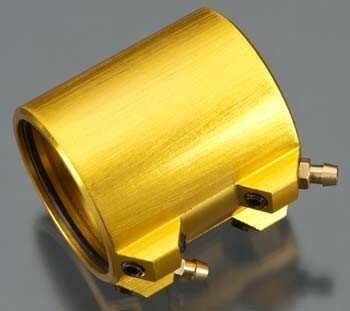 Self Clamping, anodized aluminium. Mpi Maxx Motor Heat Sink 36mm. Fits S-400, B40 type motors. 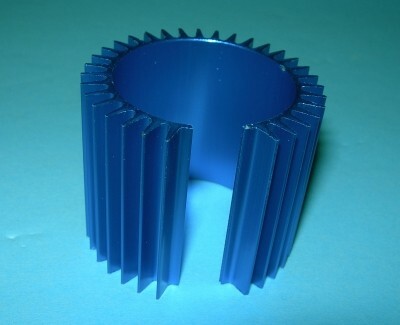 Anodized aluminium. 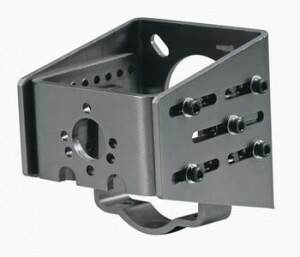 Maxx Products Radial Mount for Himax HC 35xx Series Motors. Also fits AXI (Model Motors) 28xx series motors. Fits all 36mm OD Brushless motors at least 1.9" long.